If you were to choose a Premier League player, past or present, to take a penalty, who would you go for? The man you should probably choose is Yaya Toure. This is because the Ivorian is perfect from the penalty spot, converting all 11 of his penalties for Manchester City. That makes him the only player to have taken at least 10 penalties and not miss one, with a success ratio of 100 per cent. However, a lack of recent playing time means Toure has been waiting for more than a year to add to his perfect record. 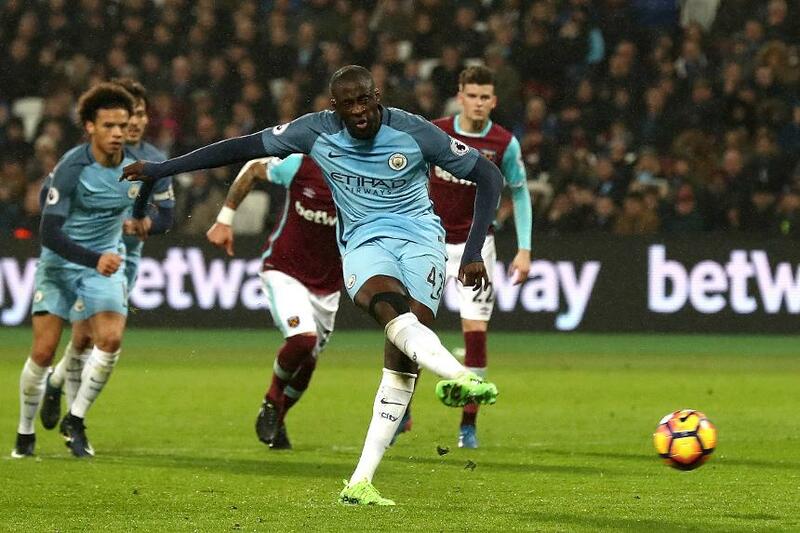 His last goal from the spot came against West Ham United in February 2017. Or you might go for Matt Le Tissier. The Southampton great is second in the rankings for success from spot-kicks, after scoring 25 of his 26 efforts. Danny Murphy has a similar record of having missed only one of his penalties. The midfielder converted 18 out of 19 from the spot for Liverpool, Charlton Athletic, Tottenham Hotspur and Fulham. Among active players, Leighton Baines should be high up any list of men to rely on. The Everton defender has missed just two of his 22 attempts and one became a goal anyway. Against Stoke City last season, Baines saw his penalty rebound off a post on to Shay Given's head and back into the net. In terms of numbers scored Toure still has some way to go in order to catch Newcastle United legend Alan Shearer, who has the biggest haul of successful penalties after scoring on 56 occasions.